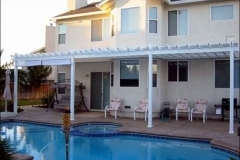 For those wishing for the advantage of a solid cover and a totally different look, then the “SUN COUNTRY” is the choice for the distinctive homeowner. 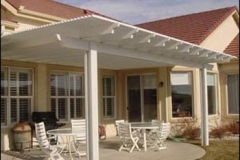 With the built-in rain system, choice of 4 colored embossed roof panels along with 10 different colors available for the perimeter of your patio cover, the SUN COUNTRY gives you a myriad of different options you can choose from! 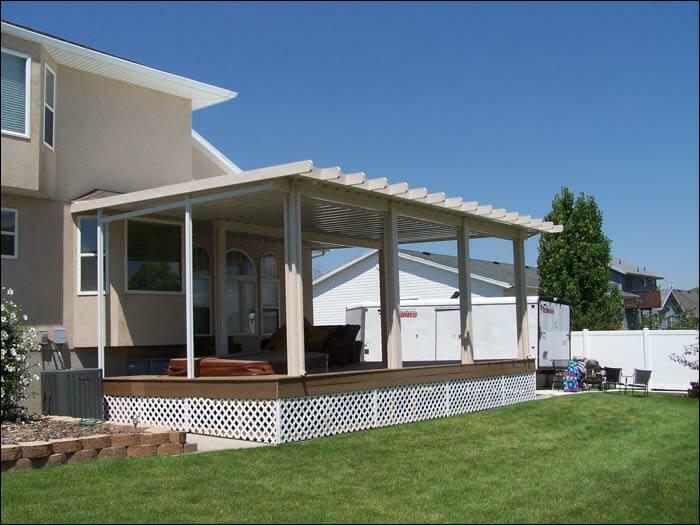 With the standard 2”x 6” posts or the custom round colonial columns, and four styles of Rafter cuts will give you even more options to make your patio space stand out from the others. 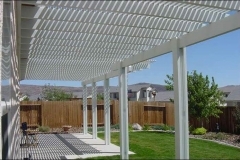 The PERGOLA awning is designed for the homeowner who desires shade without the concern for the elements. 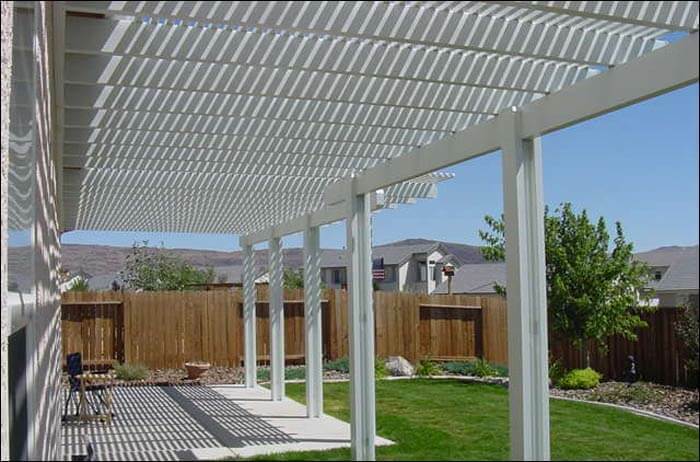 Built with all aluminum structure, gives you the long-lasting look of a wood product without the maintenance. The PERGOLA can be attached or free standing and gives you yet, another option to plan your outdoor living space to make it even more distinctive and set you apart from everyone else. 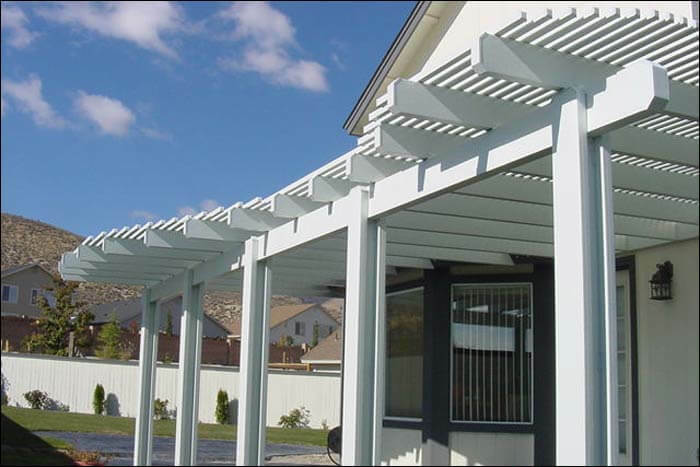 With 10 different colors and four styles Rafter Cuts, you can match or accent your outdoor décor. 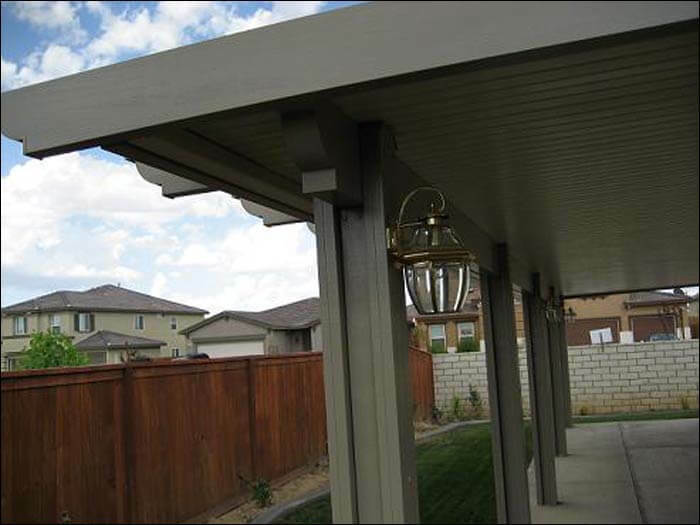 Along with our outstanding warrantee, you’ll have a beautiful addition to your home while adding to its value. 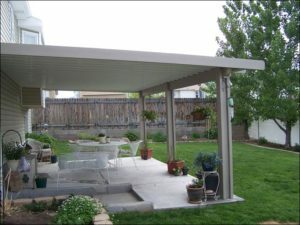 For those wishing to have complete coverage to protect you and your patio furniture. 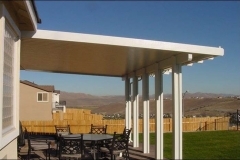 Then our 31/2” V-PANEL COVER would be your best choice. 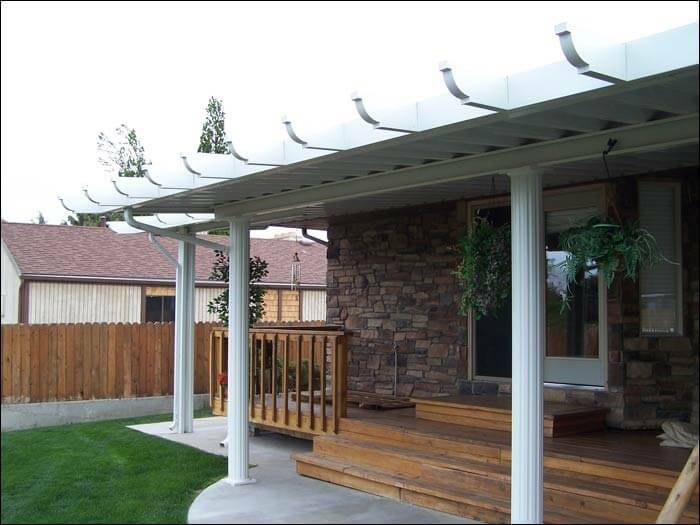 This cover is designed to move the water away from your home, using a built-in rain gutter system. 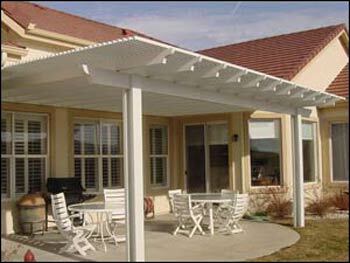 With the 31/2” V-PANEL PATIO COVER you’ll be able to enjoy your space even when the weather is less than perfect. 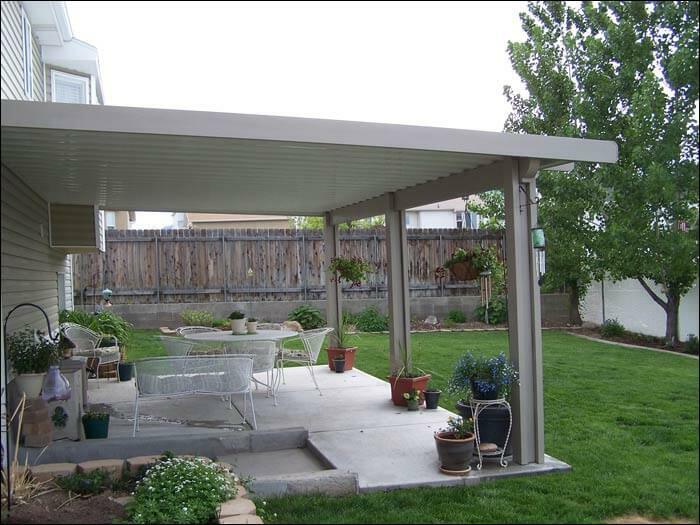 We use the strongest extruded materials available for the framework, and compliment this with our engineered aluminum panels designed for the snow-load required for whatever area you are living in. Our cover is by far, the most superior cover available. 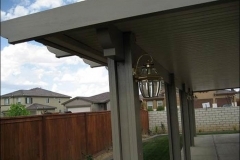 Since we have been in this business for over 50 yrs, we have the experience to help with your ideas and in making the right choices. 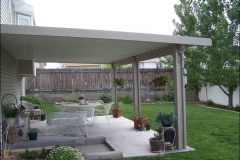 We also can give you pointers, and instructions on installation if you choose to install your own cover. 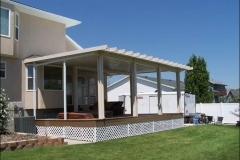 Our custom kits come with everything you’ll need, including material, fasteners, and full instructions to help with your construction. We always have the best in mind for our customers; this is why we furnish the best materials for the best possible price. 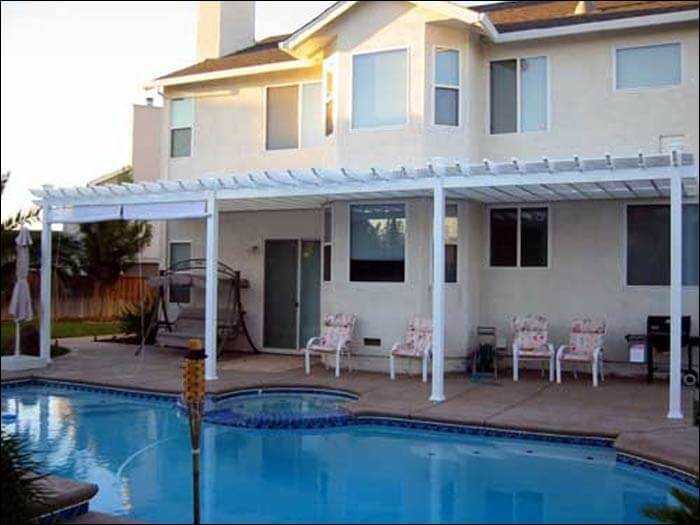 Our “IRP” roof panels come with heavy-duty extruded aluminum framework combined with wall panels made with ESP (expanded polystyrene) foam core. With an embossed aluminum or vinyl skin available in 3 popular colors, they can give you the look that will blend perfectly with your home. This panel will be a great insulator when using with our enclosure system. We also use upgraded vinyl insulated wds. 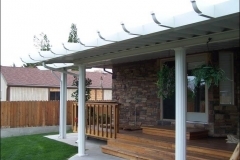 and transoms to coordinate your PATIO ENCLOSURE to the style of your home.